Here's a picture of an alligator. Bulls, horses and now this? Animal control police officials found an alligator after responding to a building fire in Tacony on Wednesday night, The Associated Press reported Thursday. Firefighters responded to the fire that broke out on the 4800 block of Unruh Avenue shortly before 8 p.m. Two people sustained minor injuries and were transported to local hospitals, according to CBS3. The Red Paw Emergency Relief Team, which helps displaced pets, was called to remove the alligator but later handed over the investigation to the Animal Care & Control Team of Philadelphia. 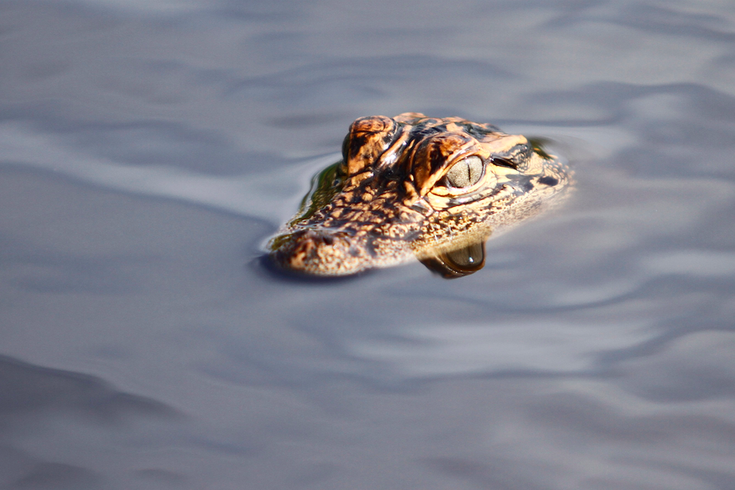 The alligator is reportedly between 18 and 24 inches long and was found inside a tank.